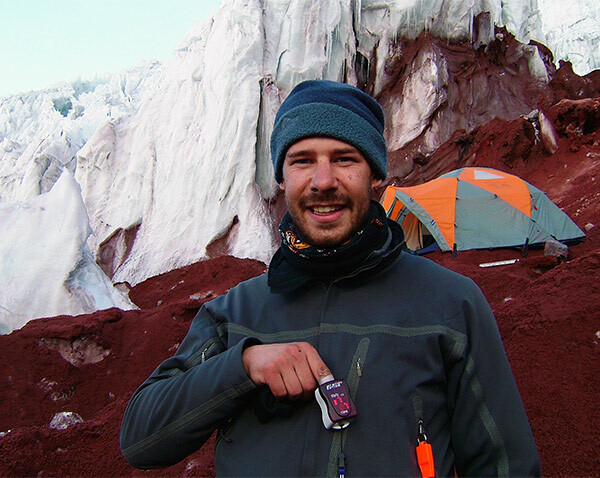 Top of his game: Whether in the Himalayas or in his lab, Stephan Sanders knows when to keep trekking and when to change course. In May 2009, about 20 of the brightest minds in autism genetics gathered in Chicago. The goal was to figure out how to handle the reams of data emerging from big sequencing projects. In this assembly of bigwigs, Stephan Sanders, a neophyte, steered the discussion. Even now, Sanders is often the youngest researcher at power-packed conferences. But at 35, he is already credited with bringing a measure of clarity to autism genetics. Working with his advisor Matthew State, Devlin and other stalwarts, he has developed tools to sift through the sea of sequences pouring in and pin down mutations that lead to autism. As if that were not compelling enough for a resume, Sanders is also a pediatrician and co-author of a series of bestselling how-to books for medical students in the U.K. He has served as an expedition medicine expert, leading troops of teenagers into the Andes, Patagonia and Tanzania for a BBC television series. And he is an avid mountaineer, hiker, bicyclist, boater and enthusiast of sundry other outdoor pursuits. By all accounts, he is good at everything he sets out to do, and a thoroughly nice fellow to boot. Most recently, as assistant professor of psychiatry at the University of California, San Francisco — a status so new that he has neither a lab nor a team — Sanders is exploring the reasons for autism’s gender bias. Before Sanders was a graduate student in State’s lab, he was a postdoctoral fellow — yes, you read that right. Sanders was a doctor in the U.K. in 2007 when his wife, art historian Imogen Hart, won a postdoctoral fellowship at the Yale Center for British Art. He dutifully followed her to New Haven, Connecticut without a plan for what he would do next. Hart’s boss happened to live next door to Rick Lifton, chair of Yale’s genetics department. That eventually led Sanders to poke his head into the State lab, even though he had no background in human genetics. Somewhat serendipitously, State had seen Sanders in a number of his adrenaline-filled televised expeditions, and meeting him in person only reinforced State’s sense of him as an unflappable person. “He definitely gave the impression that he could take on and tackle pretty much anything without getting the least bit flustered,” State says. One expedition into Patagonia later, Sanders joined the State lab as a postdoc in February 2008. But the data on these so-called copy number variations (CNVs) is extremely noisy because people who have no obvious symptoms can also harbor them. It was clear that to find a signal, researchers would need to muffle the noise. Chris Mason, another postdoc in the State lab, showed Sanders a few lines of computer code aimed at doing just that. To most biologists, the code was completely foreign and impenetrable. To Sanders, it was a revelation. “It was like discovering a language I had always known,” he says. Within weeks, Sanders mastered coding and started to sift through the copy number data. He and Mason together developed CNVision, a program that cleans up raw data to reveal clear, annotated CNVs. They used the program to confirm a region on chromosome 16 implicated in the landmark paper — a rare feat in science. “To actually see something which someone else has found and independently to verify it, that was absolutely fantastic,” he says. They also implicated a slice of chromosome 7 that is key in the autism-related disorder Williams syndrome. The team began sequencing the exomes — the genomic units that comprise the code for all genes — of hundreds of people with autism and their unaffected family members. Two years ago, they estimated that autism risk is expansive, with contributions from nearly 1,000 genes. Last week, based on an analysis of more than 2,500 families, they homed in on 27 of the most likely culprits. At some point in the course of these trailblazing studies, Sanders decided that he would benefit from formalized training in genetics and enrolled in a Ph.D. program. “It was a unique situation, where in my second year of grad school, my postdoc mentor became a grad student,” says Jeremy Willsey, now a postdoc in State’s lab. But Willsey still looked to Sanders for advice and direction in the lab and beyond. Following Sanders’ lead, he even switched his choice of caffeinated beverage from coffee to Diet Coke. Sanders’ foray into genetics wasn’t entirely accidental. As a pediatrician, he always wanted to understand why some children had developmental delay or language problems. “I think there’s a benefit in parents knowing that, because there’s a natural degree of blame that goes on there, and actually being able to understand that can be therapeutic,” he says. He brings this same empathy and broad perspective to his interest in autism’s gender bias. Autism is diagnosed in four times as many boys as girls. But there are big, unresolved questions about whether this ratio is accurate and whether and how the disorder manifests in men versus women. This dovetails nicely with Sanders’ wife’s interest in art and feminism — although in feminism, as he notes, the impetus is usually to minimize the differences between men and women. One leading model holds that women are protected from autism because they can tolerate more mutations. But if this theory should prove to be limited, Sanders is ready to change course. “There are times when you have to accept this is a problem, where I just do not have the data or the ability to address this,” he says. In April 2003, Sanders was climbing in the Himalayas when he realized his ice screws — his only tether to the mountain — were unsuitable for the deep snow. He was tired and hot, and his glasses were foggy. His climbing companion wanted to keep going, but Sanders decided to stop. anonymous, that is an extremely valid point, though the world needs technicians to carry out the ideas so you might say he “delivered” on the clarity. Stephan’s name is on nearly half the major papers that did de novo CNV or exome analysis in autism, so he must be pretty important, right? Great interview and nice works for this field. Well done!